We have a great deal on the Podium-Style Charging Stand in the Geeky Gadgets Deals store today, you can save 77% off the normal price. The Podium-Style Charging Stand is available in our deals store for $35.99 it normally retails for $159.99 and it comes in a choice of two colors. This premium stand does it all–propping up your smartphone or tablet at an optimal viewing angle, and charging it at the same time. When not in use, it folds into a compact square you can easily slip it into your bag for maximum portability. 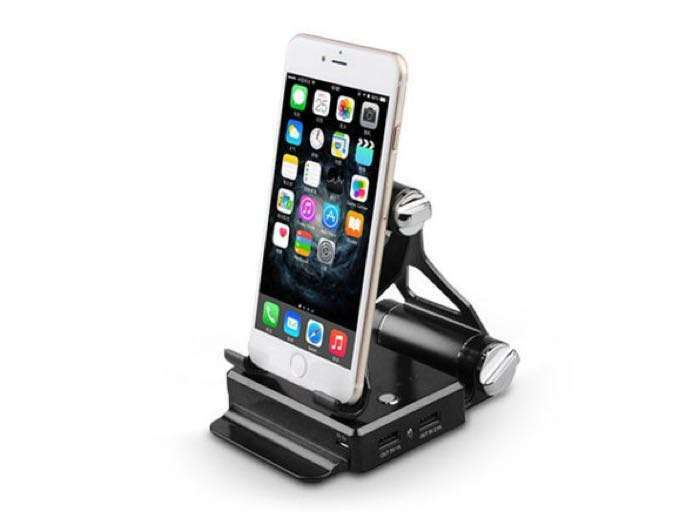 You can find out more details about this great deal on the Podium-Style Charging Stand over at our deals store at the link below.